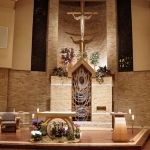 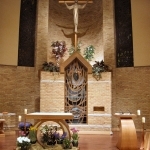 This is a complete renovation of the sanctuary at St. Daniel in Clarkston, MI. 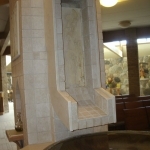 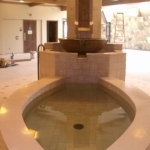 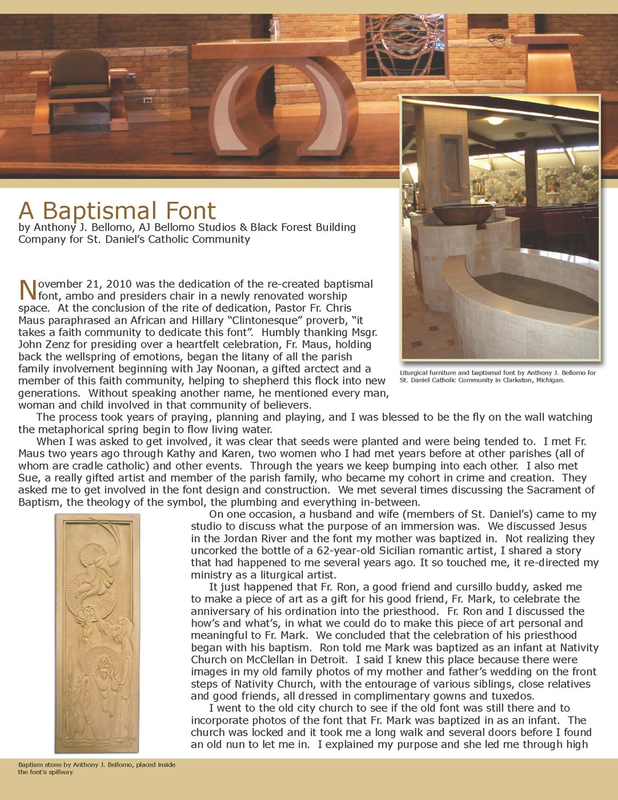 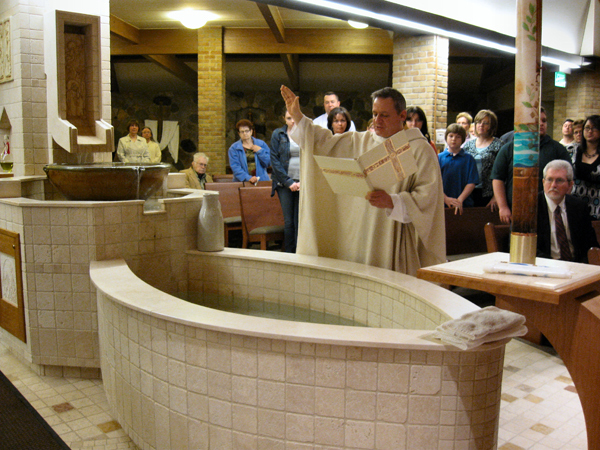 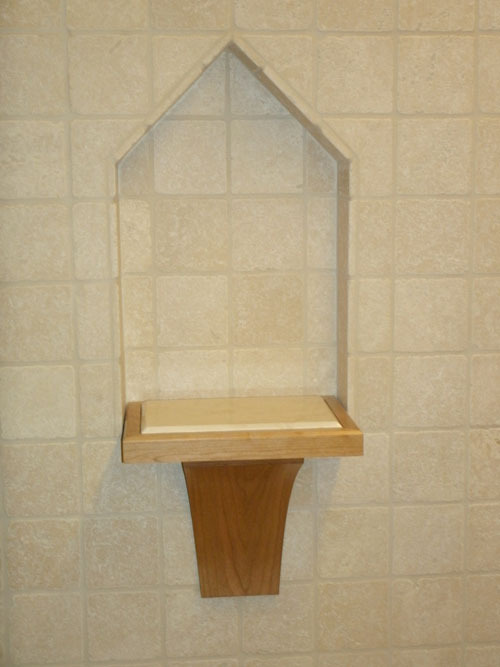 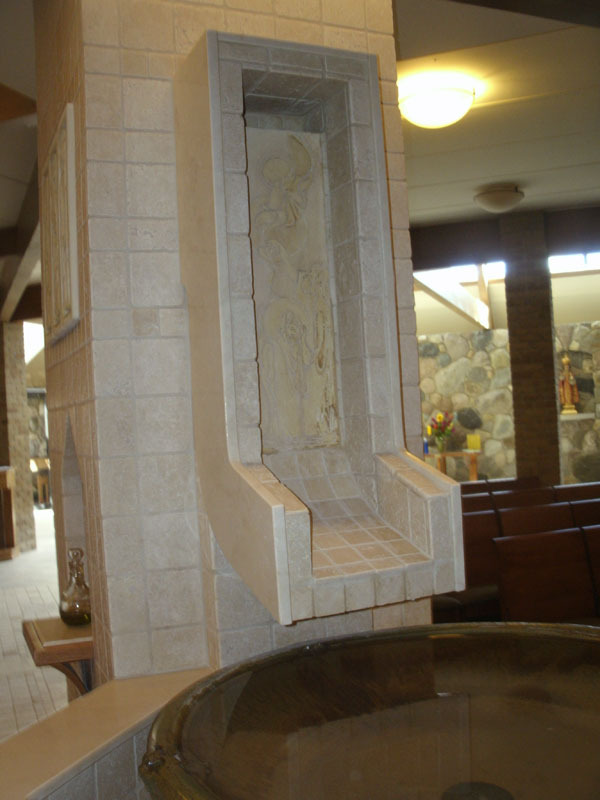 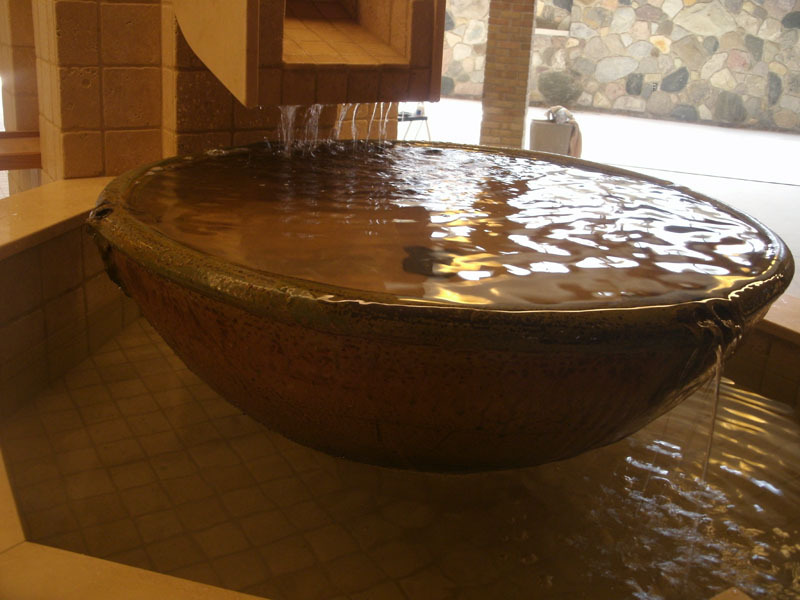 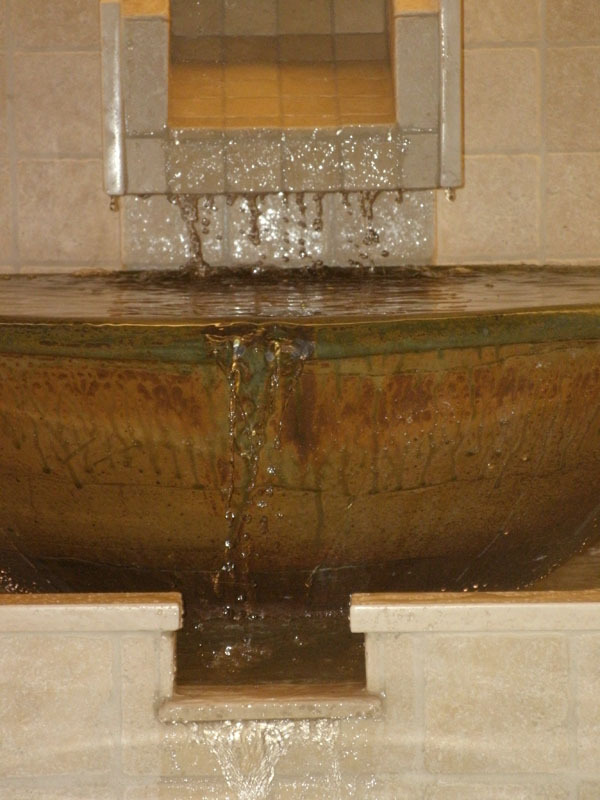 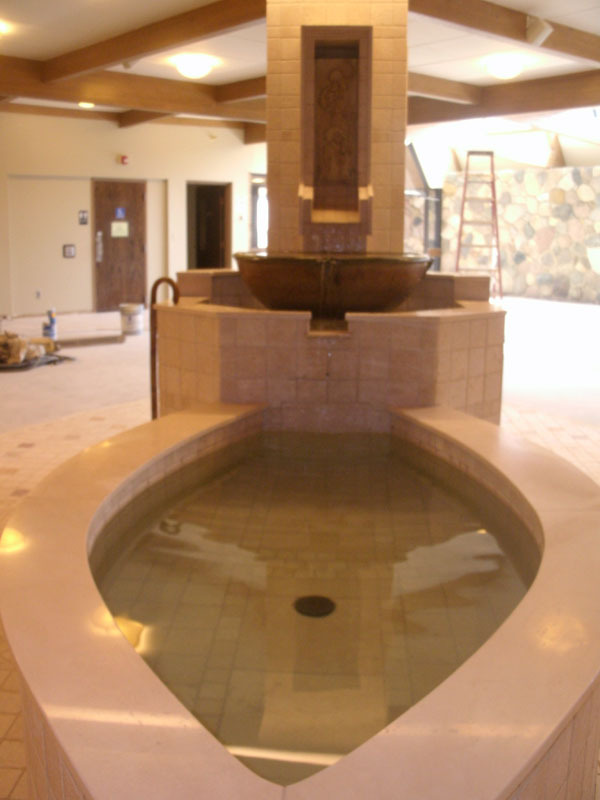 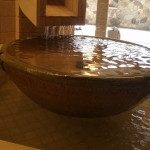 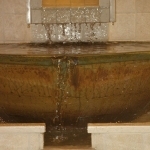 The beautiful baptismal font was recently installed as well as the personalized floor tiles, made by the community of St. Daniel. 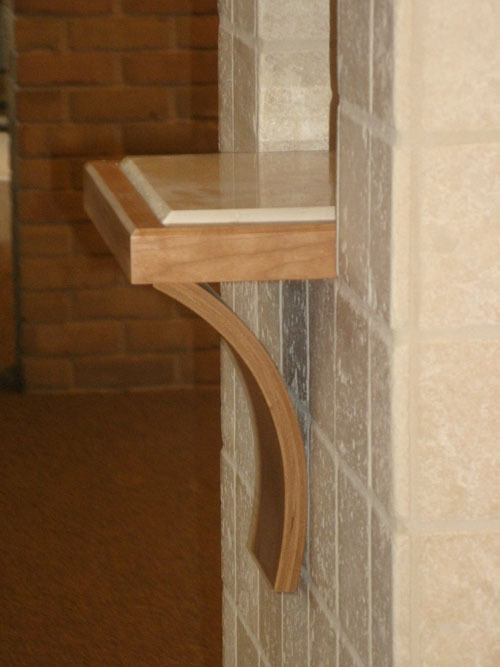 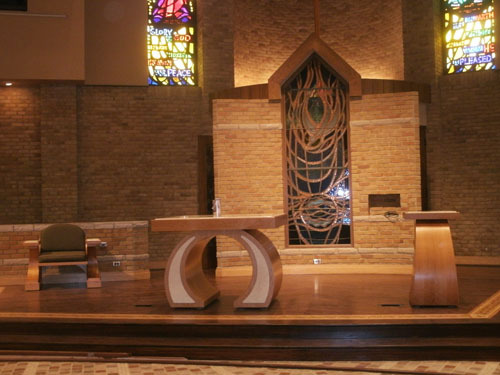 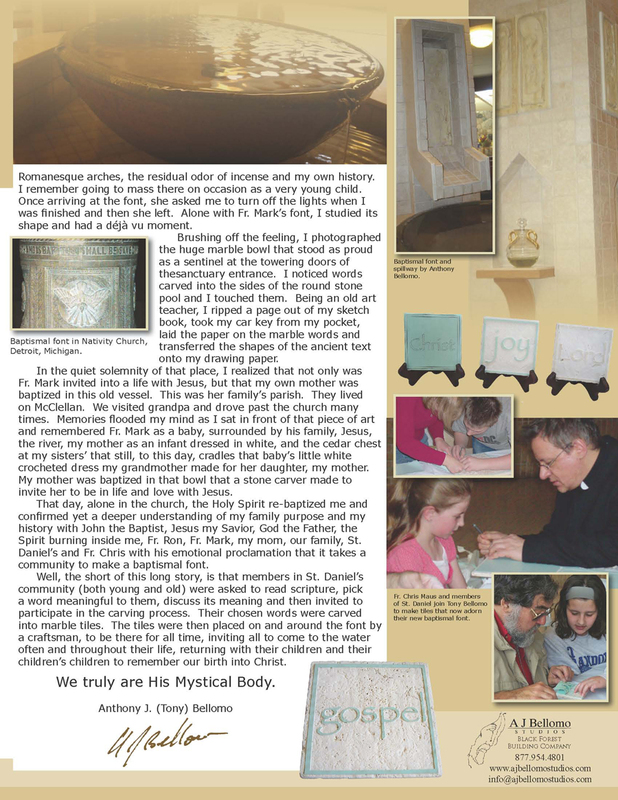 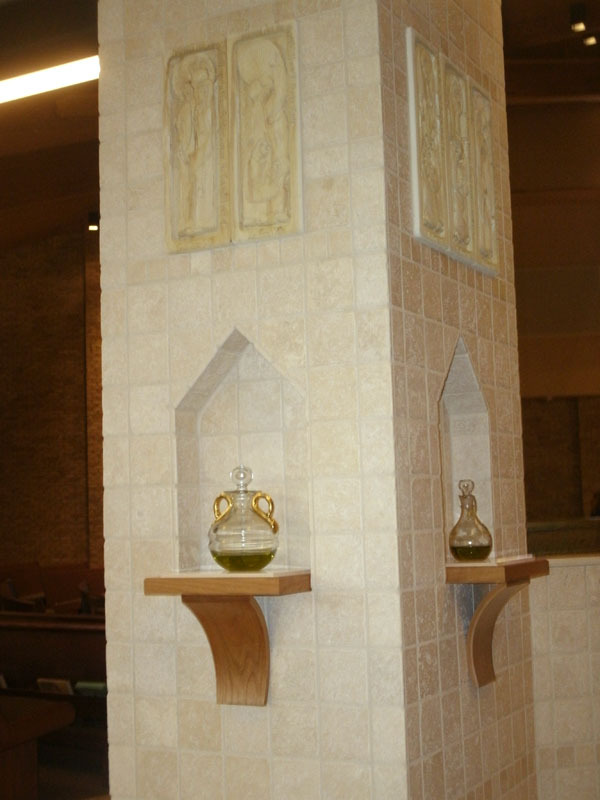 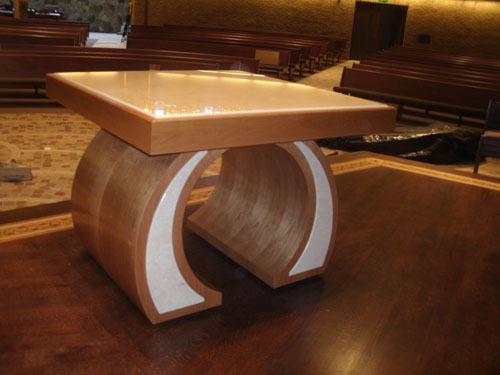 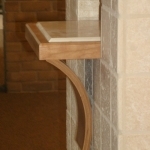 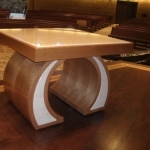 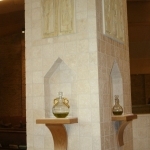 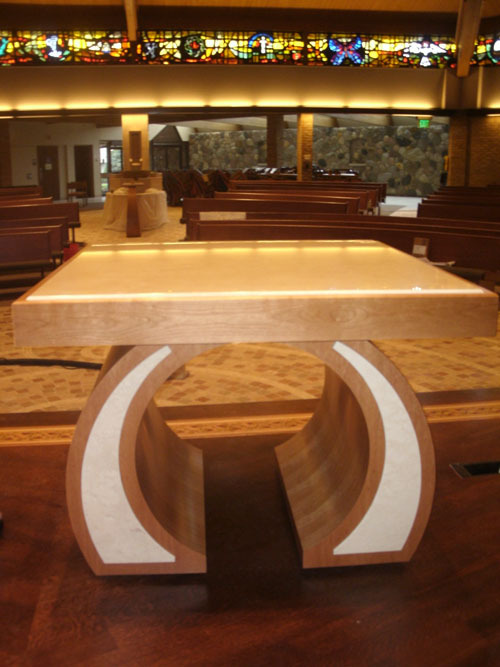 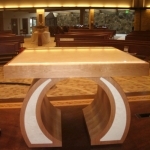 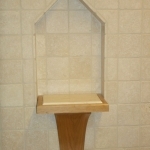 The liturgical furniture is finished and was featured at Cobo Hall in Detroit at the 2010 National Pastorial Musicians show. 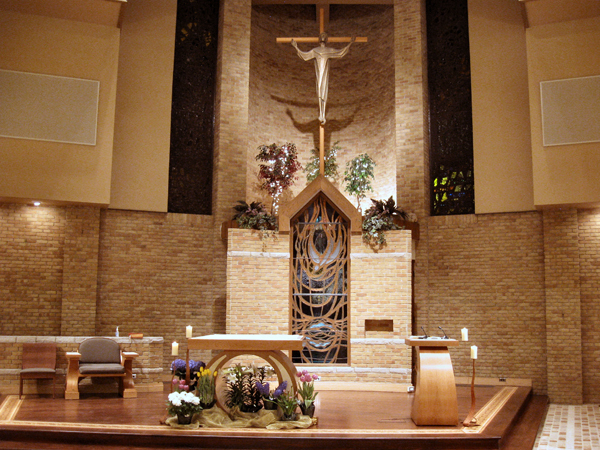 Renovations should, not only renew the physical and visual construction of the church, but also renew the community within the church. 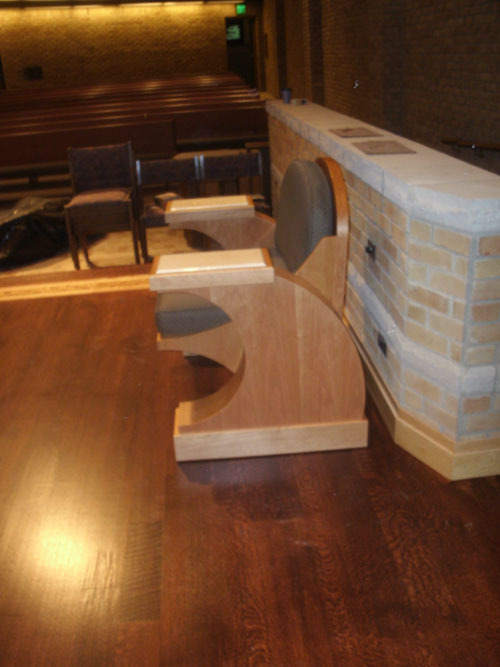 Community was our main focus for this project at St. Daniel. 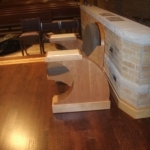 We invited the congregation to take part in every process as we transformed their worship space. 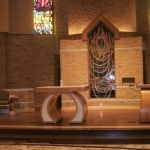 The new worship space is a beautiful area to come and worship together. 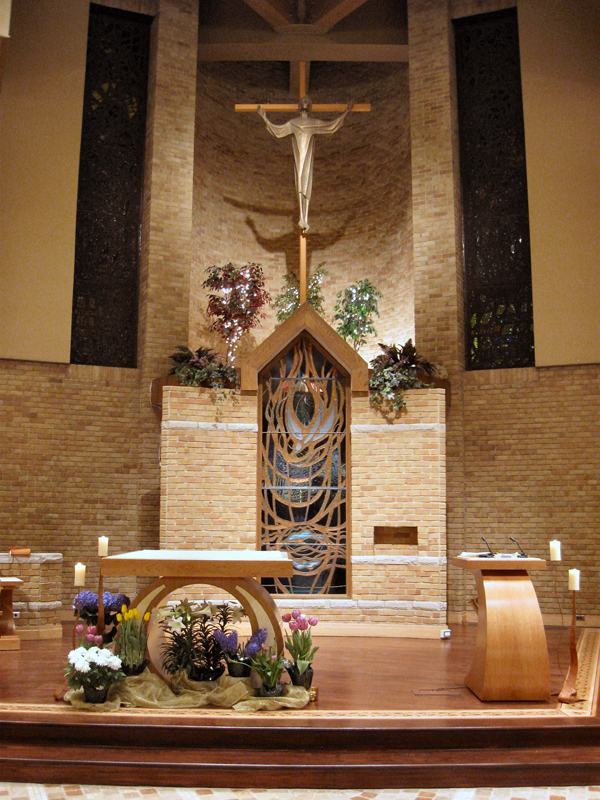 We invite you to share with us, and the community of St. Daniel, the experience and spiritual transformation of a parish.